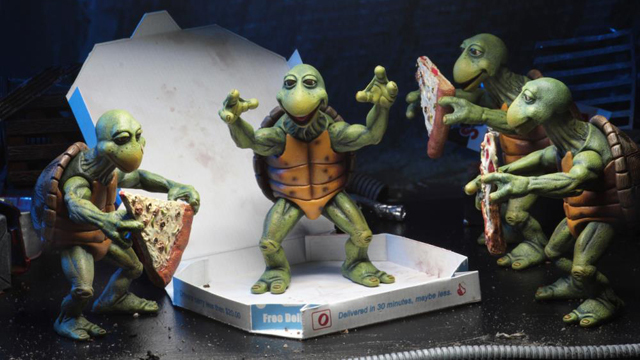 NECA really does care about creating products and items nobody else is doing. 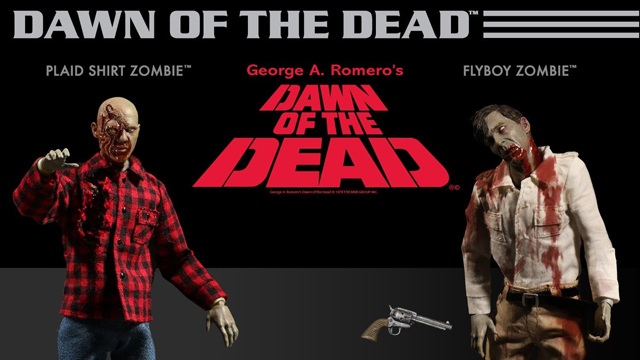 It is really hard to imagine any other company giving us an accessory pack for a horror franchise from the 1980s. 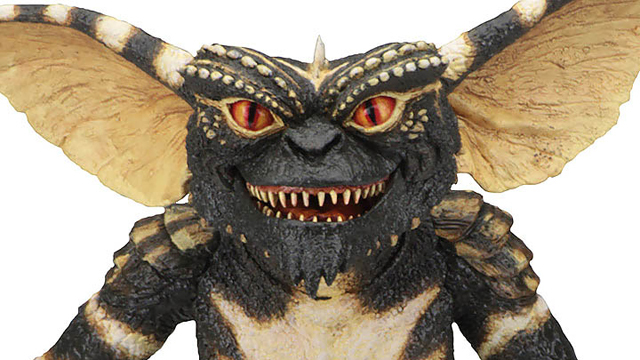 But, NECA has done it and they have consistently done it for years now. 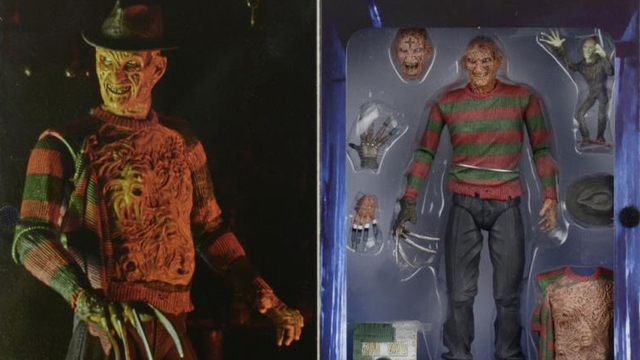 This Nightmare on Elm Street Deluxe Accessory Pack is currently available for pre-order from Entertainment Earth and it will ship in November 2018. 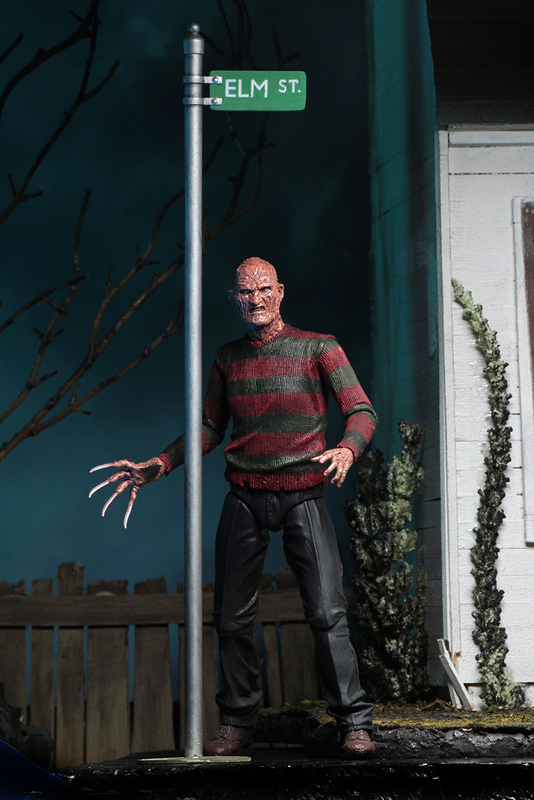 Build amazing scenes from the Nightmare on Elm Street movies with this deluxe accessory set! 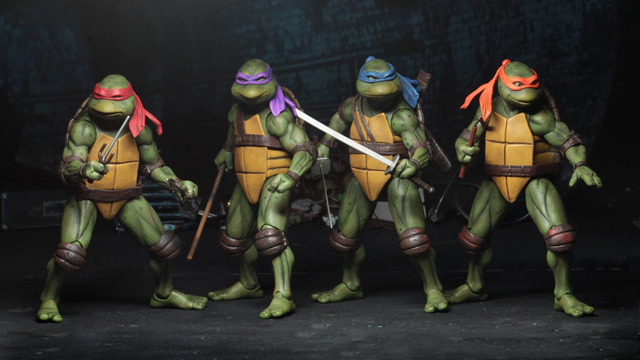 These incredible pieces are perfectly in scale with NECA’s line of 7-inch action figures and include some truly iconic pieces from the cult classic horror movies. 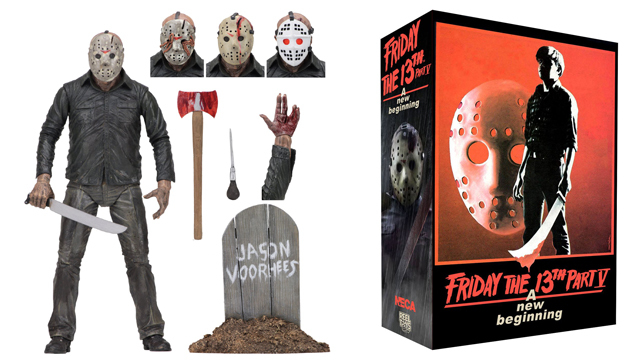 The set comes in closed box packaging featuring artwork created just for this release. 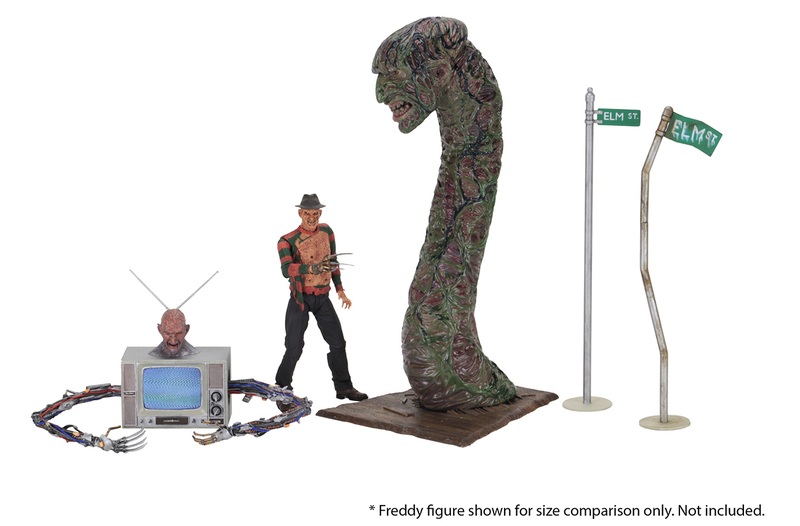 The set includes a Freddy Worm (as seen inDream Warriors) that stands over 12-inches tall! 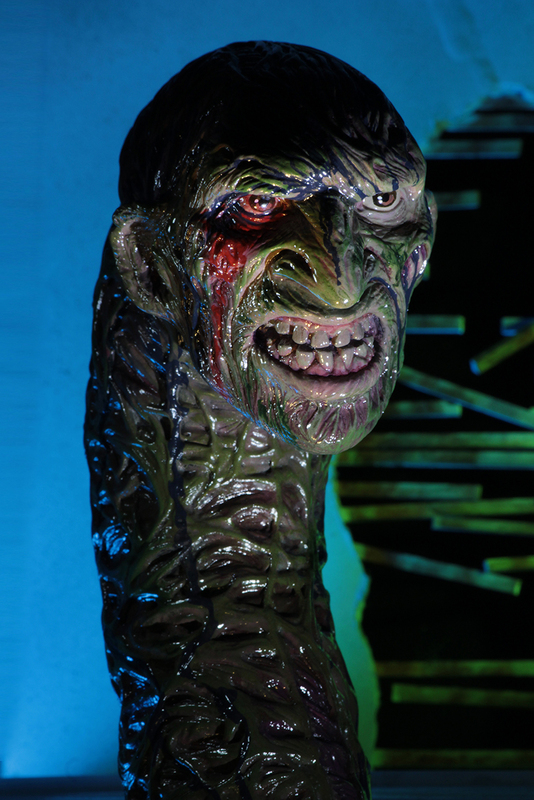 The worm features an articulated head and a display base styled as broken floor boards. 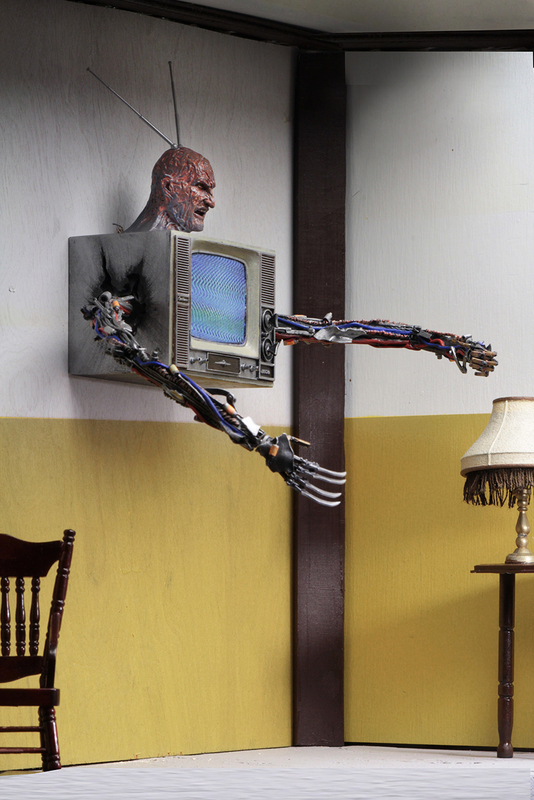 The Freddy TV (as seen inDream Warriors) can be mounted on a diorama wall or displayed on desk or shelf. 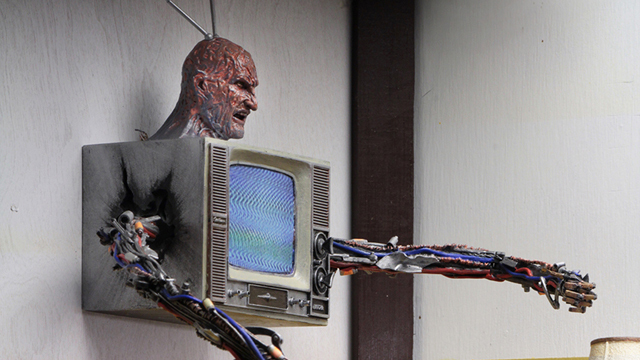 The arms are articulated and the antenna on Freddy’s head can be positioned. 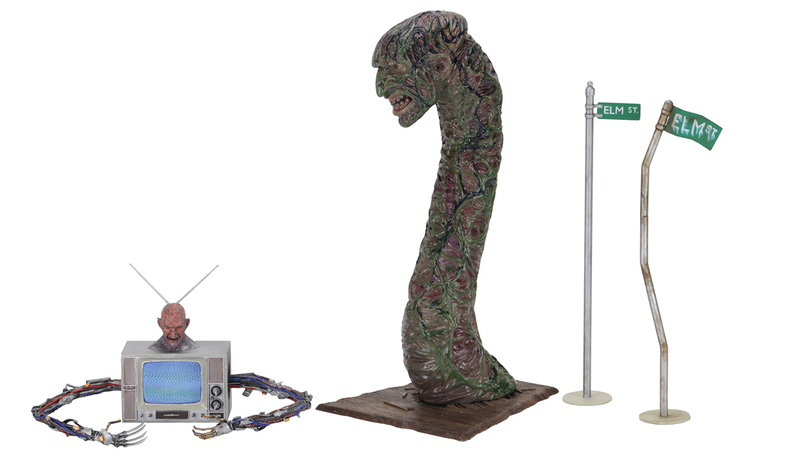 The Elm Street signs includes both regular and “nightmare” versions of the street sign that stand over 10-inches tall.